Village Books is a co-sponsor of the Hot100Business Biz Book Workshop, a book group offered by the Washington Small Business Development Center, part of WWU's College of Business & Economics. The meetings are held quarterly at the Fairhaven Branch of the Public Library from 10am-noon. This free meeting/group is for business owners and managers to discuss ideas that help accelerate business growth. Reading the book is recommended but not required. You must make a reservation to participate. Contact Jennifer.Shelton@wwu.edu for reservations. For more information visit wsbdc.org. Based on the largest study of its kind ever undertaken, more than 80,000 managers in 400 companies reveal revolutionary insights about successful managerial behavior. Marcus Buckingham is currently considered a "single author." If one or more works are by a distinct, homonymous authors, go ahead and split the author. 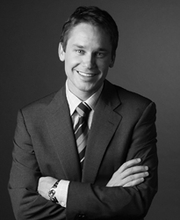 Marcus Buckingham is composed of 2 names. You can examine and separate out names.